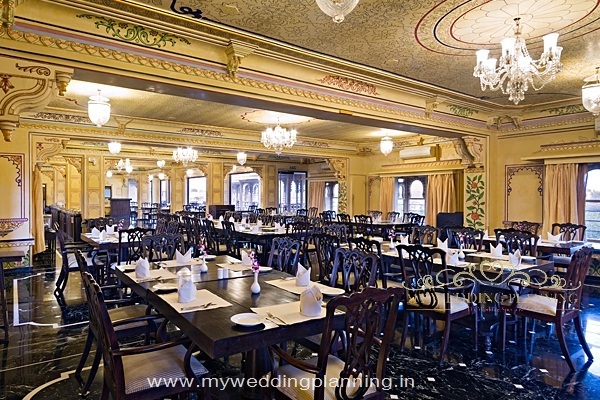 Experience the opulence and royal heritage of a rich bygone dynasty at this luxurious venue. 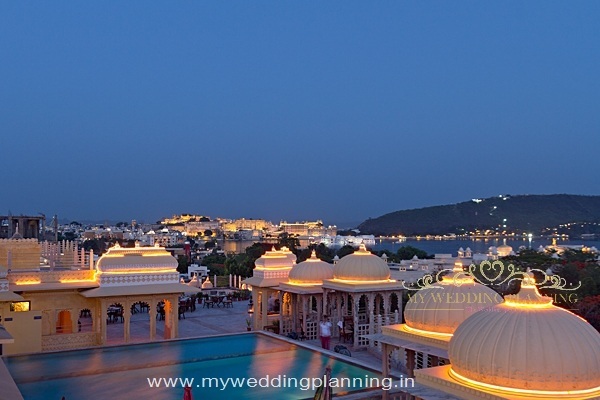 Chunda is a destination wedding paradise as the spectacular palace offers breathtaking views of the City Palace and the beautiful Lake Pichola. 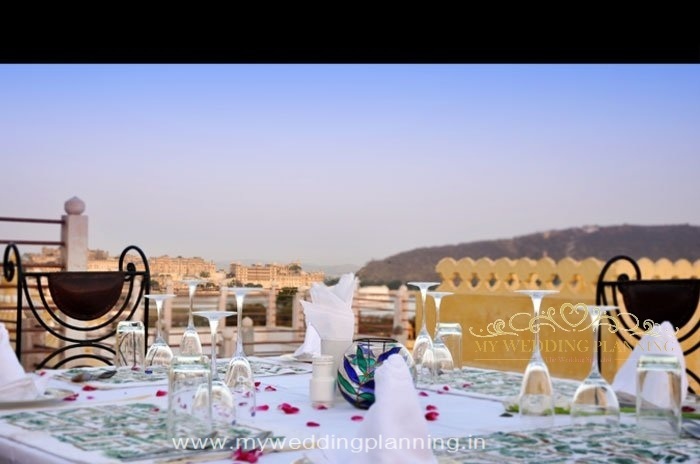 This traditional Rajasthani palace belongs to one of the noble houses of the yesteryears Mewar Kingdom and is now converted into a full-service hotel that is a royal destination for beautiful regal weddings. 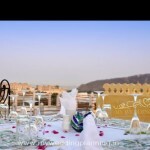 The Chunda Palace offers 46 elegant guest rooms, esteemed restaurants and opulent spaces for weddings and special events. It features 2 pools, a variety of activities and luxurious rooms with hot tubs. Your guests will be left amazed by the beauty of this property which screams sophistication the minute you enter it. It reminds you of Royal India back in the day; that was a fabled land of palaces and forts & kings and queens. It celebrates the romance of the Rajputana era and exudes the charm of that erstwhile period. From its rich exterior embellished with royal carvings to the grand Rajasthani architecture throughout the interiors of the palace; Chunda presents a picture of royal grandeur resplendent with pavilions and domes that lead you to a journey of discovery. The interiors of the palace are embellished with decorative domes, hand painted frescoes, intricate mirror work and beautifully crafted artefacts that create an ambience of royal magnificence. 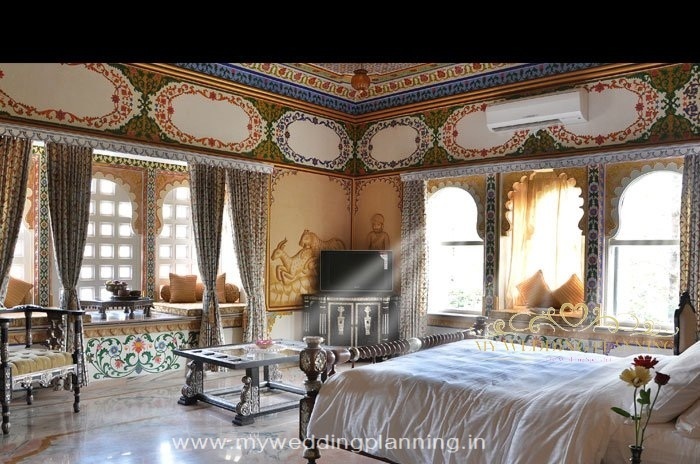 The walls and ceilings are adorned with embroidered hand painted rich textures depicting the rich art work of the region. Intricate paintings made out of natural colours, bone inlay art work and beautifully crafted artefacts create an ambience of regal splendour. 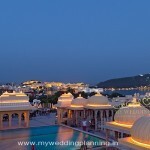 Splendid architecture inspired by the palaces of Rajasthan present a picture of magnificence. The palace took 16 years to build and its beautiful architecture fascinates all its guests. Like any Rajasthani palace it reminds you of the rich heritage of the Rajput era making you and your guests take a step back in history. The Chunda Palace is within 6 km from the railyway station and the city centre. Udaipur Airport is 27 km from the hotel. 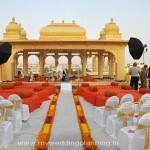 For the most memorable royal wedding, Chunda Palace is an ideal choice. Guests will be awestruck by the vivacious and colourful interiors in traditional bold hues of red and green against a colourful yellow background of the building. 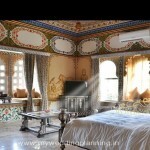 The interiors are also adorned with hand painted walls and ceilings that depict the rich art work Rajasthan. 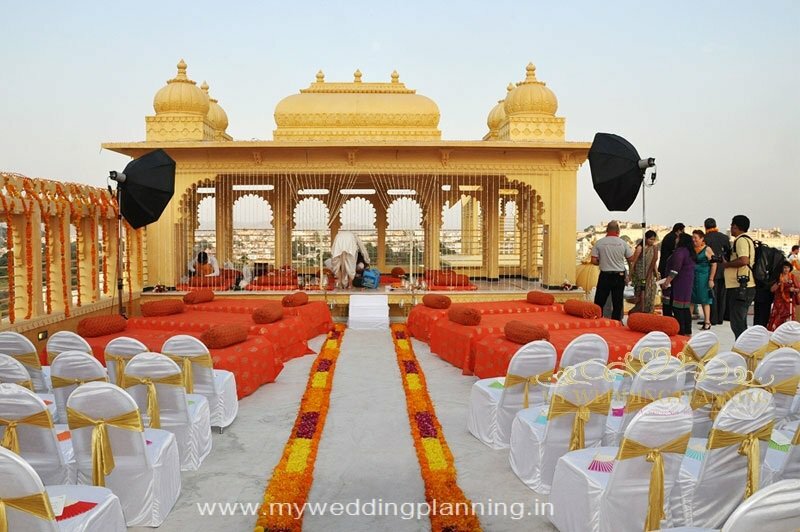 Chunda is a beautiful venue for royal weddings not only because it is grand and regal in appearance but also because of its impeccable services that treat guest like royalty the minute they enter the palace hotel. 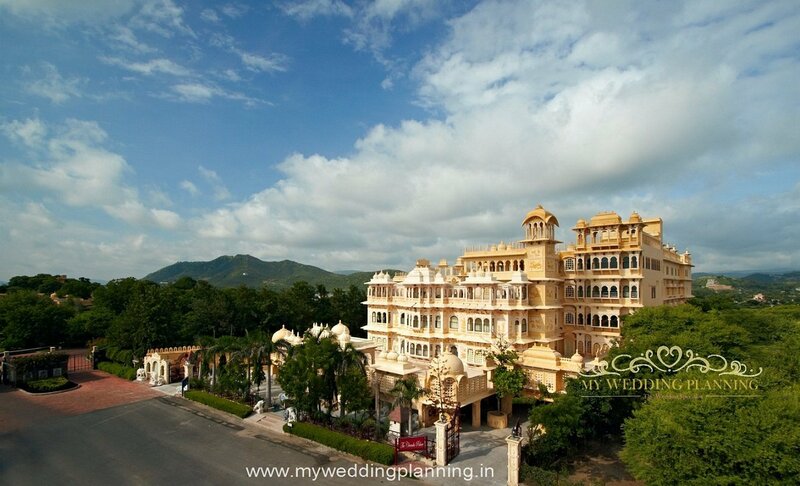 The Chunda Palace hotel applies its exceptional standard of hospitality to every beautiful wedding at the property. 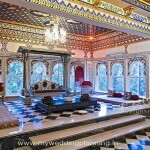 The Chunda palace has 2 banquets. 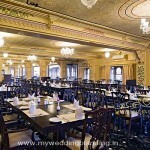 One on the ground floor that can accommodate 150 guests and the other on the first floor can accommodate 200 guests. The hotel has an indoor and outdoor pool that can be used for pool parties. If all the rooms in the hotel are occupied by the same party, no separate venue rentals will be charged. Trust the experienced staff at Chunda to create a special menu to suit your taste. The hotel has 46 rooms. 30 rooms are Palace rooms and 16 are suites. 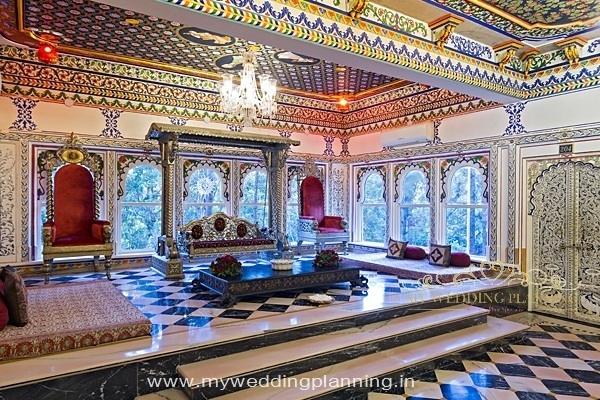 While suites cost anywhere between Rs 10000-13000 inclusive of all taxes and breakfast; Palace rooms cost between 8000-10000 rupees per night on a double occupancy basis.